A letter purportedly sent by the prime accused in the case, Pulsar Suni, to actor Dileep surfaced on Saturday, following which the actor told the media that he was being blackmailed by Suni’s aide. KOCHI: In fresh developments related to the abduction of a Malayalam film actress a few months ago, a letter purportedly sent by the prime accused in the case, Pulsar Suni, to actor Dileep, surfaced on Saturday, following which the actor told the media that he was being blackmailed by Suni’s aide and that he had filed a police complaint based on which investigations were already on. Dileep and his friend and actor-Director Nadirsha spoke to a TV channel on Saturday stating that they had received a call from a person claiming to be Pulsar Suni’s prison mate, asking for Rs 1.5 crore to refrain from dragging Dileep’s name into the case. Soon after the abduction of the actress, there were allegations that Sunil aka Pulsar Suni was an aide of Dileep and that the abduction was carried out as directed by the actor. The letter, allegedly written by Pulsar Suni from jail, and sent through a messenger to Dileep, discusses an agreed-upon amount due to Suni. 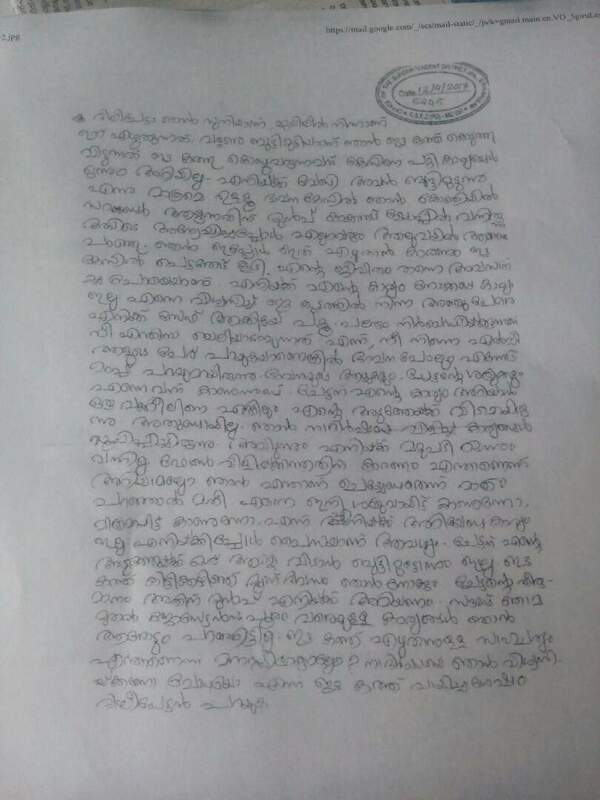 The letter states that it was with great difficulty that Suni was sending the letter and that he would “protect Dileep” despite his own life having been ruined. “Many have asked why I should be a scapegoat. Your enemies have also approached me asking to reveal your name. But I have not revealed anything from the time of Sound Thoma to Georgettan’s Pooram (Dleeps’s films). Should I trust Nadirsha? I will call Nadirsha. I want to know the decision then,” the letter says. In the letter, Suni has also sought Dileep’s advice as to what he should do next. On Saturday, Dileep told a TV channel that he had complained in April, just before he was to go on a US tour, that his friend Nadirsha had received a call from a person named Vishnu, who he said was a fellow prisoner of Pulsar Suni. He alleged that Vishnu had demanded Rs 1.5 crore, threatening that he would “reveal” that Dileep was behind the actress’ abduction. “One Vishnu, a fellow prisoner of Pulsar Suni has been blackmailing me for an amount of Rs 1.5 crore. Vested interests who want to destroy my film career are behind the blackmailing,” Dileep said to the TV Channel. Nadirsha told the channel that they had recorded the phone conversation and handed it over to the police. Police are verifying the authenticity of the phone call as well as the letter.